Police say a man spotted the bison near the Oder River in Lebus, a town nearly 88km east of Berlin, on 13 September, The Local reports. WWF Germany said local officials determined the creature to be a threat to the safety of the community and order the bison to be killed. “The release of a strictly protected animal without a potential hazard is a criminal offence,” WWF chief nature conservation officer Christoph Heinrich has said in a statement. “After more than 250 years a wild bison had been spotted again in Germany and all the authorities could think to do is shoot it,” he also told The Local. The Independent has contacted local officials for comment. 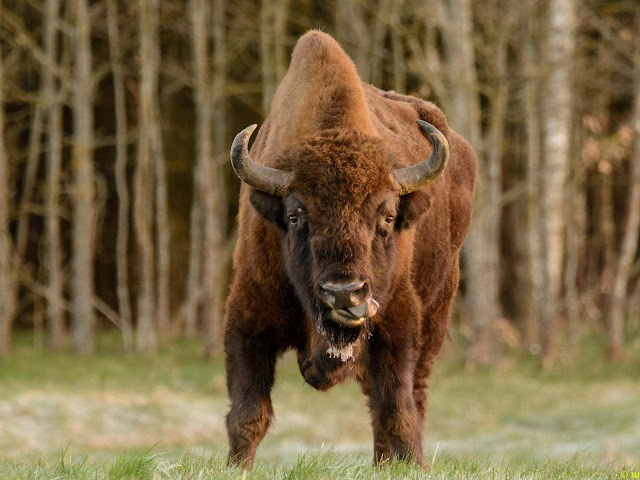 WWF says on its website that the “species-specific behaviour of [bison] is not a threat to humans”, adding there have been “successful projects with wild-living [bison] both in Poland and now in Germany”. “The shooting is unfortunately also an expression of the helplessness of the authorities, how they should deal with wild animals,” Mr Heinrich added.